Amidst a recent spate of 42 overdoses in the Sacramento region that has claimed ten lives, Assemblymember Jim Cooper (D - Elk Grove) has introduced Assembly Bill 2592 to establish the Opioid Abuse Prevention Pilot Program. The intent of the legislation is to increase the level of safety and encourage the safe storage of prescription drugs to curb the rise in prescription drug abuse cases among children and young adults. 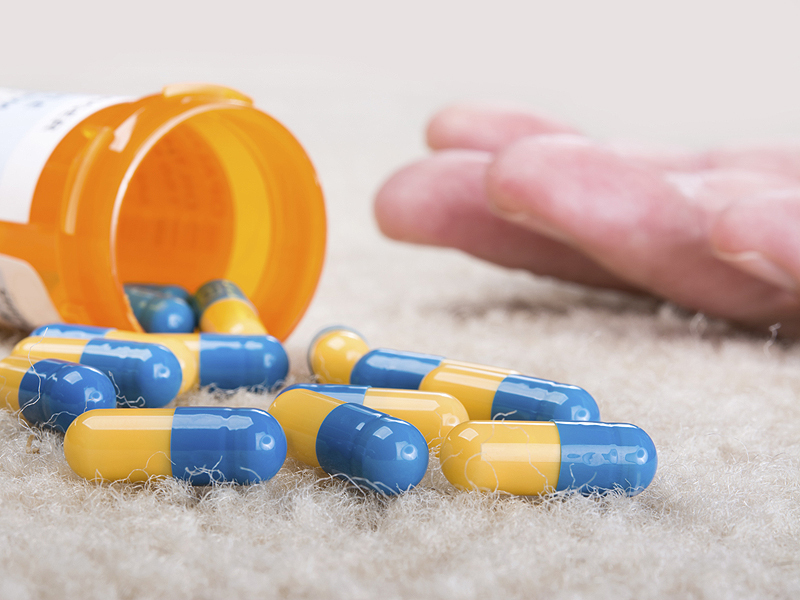 AB 2592 establishes a pilot program to measure whether increasing safe storage of opioids reduces the number of accidental poisonings and reduces the overall prescription drug abuse rate among teens. The Department of Public Health would administer the voluntary pilot program and award grants to participating pharmacies in areas with high rates of prescription drug abuse. Yesterday the legislation was approved by the Assembly Health Committee and next will be heard by the Assembly Business and Professions Committee. If signed into law, the bill would sunset on January 1, 2020. According to the Centers for Disease Control (CDC), 70 percent of addictive medications are obtained for illegal use from a friend or relative, and more frequently from their medicine cabinets. Subsequently, the CDC reports that fewer than three percent of households lock up their prescription drugs. Assemblyman Jim Cooper is mistaken about preventing death due to opioid overdosage. Once a drug like Oxycontin is taken, a locked pill bottle will not save a life. The only effective treatment is reversal of the effects through administration of Narcan. It can be given by intravenous, intramuscular, and intranasal routes. It is also very cheap, about fifty-cents to five dollars a dose. Narcan should be dispensed with all opioid prescriptions as a preventive to overdosage. The weird thing is that locked pill bottles are advertised with pictures of children playing with and consuming their parents' pills. While I'm sure locked pill bottles have their place, most of the 78 persons who will have died today (and tomorrow) in the opioid overdosage epidemic are older kids and adults who can defeat the lock on such pill bottles. The most likely victim is white, male, and between 25 and 54 years old. Putting locks on methadone, Oxycontin, and oxycodone bottles to prevent death by opioid overdosage, is like disparaging implementation of a needle exchange program while wishing away the hepatitis epidemic.